Char Kway Teow is a popular meal here in Singapore. It is prepared by frying rice noodles then mix it with soy sauce, shrimp paste, bean sprouts, sausages and vegetables. If you crave for a bowl or plate of Char Kway Teow, you should go to Maxwell Hawker, Zion Hawker and Princess Terrace Cafe. 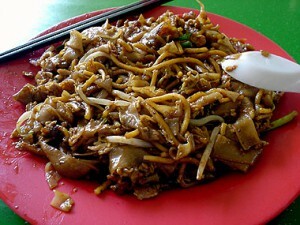 Actually Char Kway Teow is famous that you can find it in every food centres around. If you are in the mood for seafood, Chilli Crab should top your list. 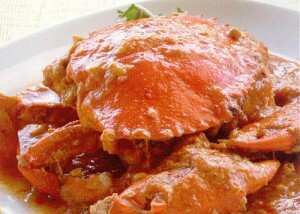 Chilli Crab is a must try here with its delicious and fragrant sauce. The Chilli Crab is best paired with toasted buns or rice. To grab a taste of the best Chilli Crab in town, you should head to No Signboard Restaurant, Long Beach Seafood, Jumbo Seafood and Eng Seng Restaurant. 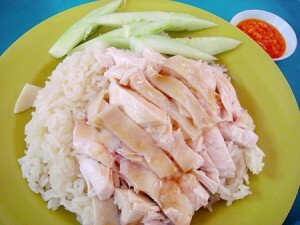 Hainanese Chicken Rice is a simple dish that captured the heart of locals and tourists. The dish is prepared with rice, soy sauce, ginger paste, cucumber, chicken soup and white chicken (steamed). To grab a taste of the best Hainanese Chicken Rice in town, you should head to Maxwell Rd Hawker, Boon Tong Kee, Chatterbox and other restaurants. If you are looking for more heavy meals, you can grab Thosai, Satay, Roti Prata, Rendang, Rojak, Hakka Yong Tau Foo, Laksa, Hokkien Prawn Mee and many more. If you simply want to have a snack, Kaya Toast, Fried Sesame Ball, Mooncakes and Carrot Cakes are good. If you are thirsty or looking for a dessert, you can consider Singapore Sling, Teh Tarik and Ice Kachang.